The way your windows open is as much about style as it is convenience. Tilt and turn or "Swing" UPVC windows give you the best of both in a style combining simplicity of appearance with versatility of function. Also, unlike many styles of PVC windows, the tilt & turn has no outward-opening parts, making tilt & turn a natural option for anyone choosing to secure their home with roller shutters. This popular choice for securing commercial windows – such as in shops and factories – is now growing in popularity in British private homes where security is a specific issue. This type of window has been popular in mainland Europe for many years as it particularly suits contemporary homes. 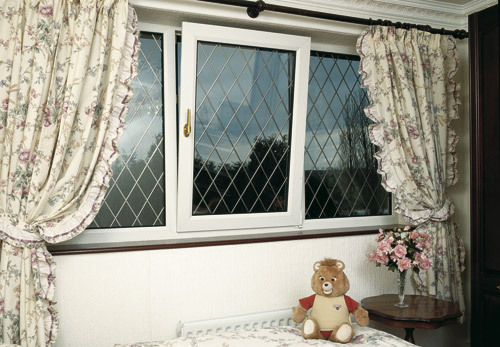 Bahama's energy efficient Tilt and Turn windows will significantly reduce your heating bills and their acoustic insulation properties minimise outdoor noise. Available in a range of framing and glazing styles, these windows incorporate all the high-security features associated with the quality brands of VEKA and Maco security locks.